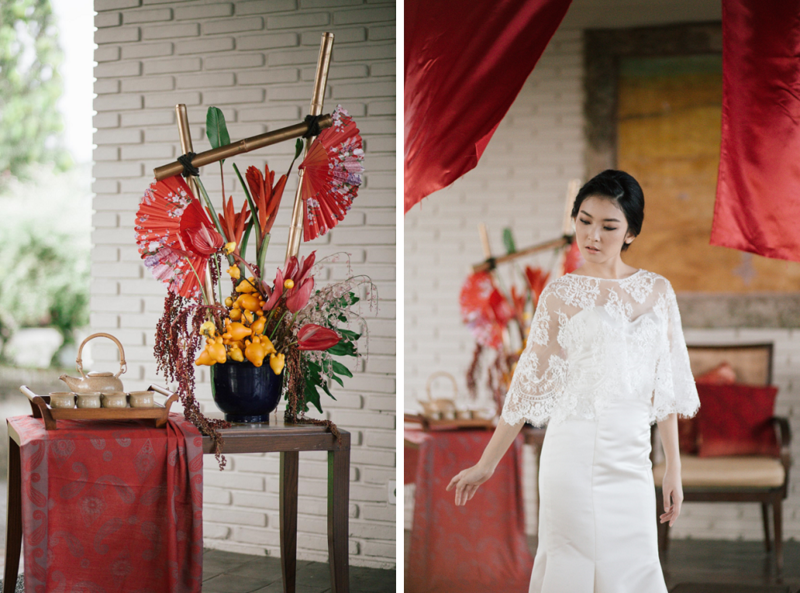 Many of you are probably aware that a tea ceremony is an essential formality in Chinese traditional weddings but do not know the significance of it, or how it is carried out. 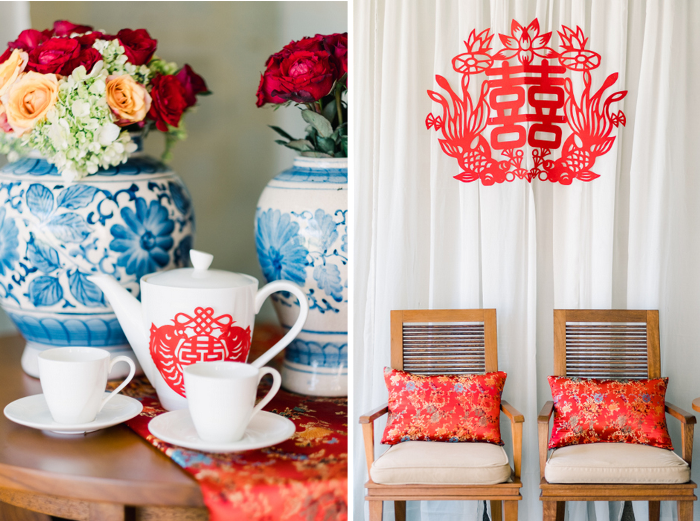 Read on to get a better understanding of how a tea ceremony should go in your wedding. The significance of the tea ceremony is for the bride and groom to express their respect and gratitude to their family for the many years of love and nurture in raising them. In return, the family will convey their blessings for the newlyweds as they begin their marriage as husband and wife. The tea ceremony also symbolises the union of the 2 families (bride’s and groom’s), as well as the official start of a new family between the bride and groom themselves. Traditionally, the groom would pick the bride up from her house, and they will head to the groom’s house together to serve tea to his family. After which, they will return to the bride’s house to serve tea to her family. As some modern couples find this inconvenient and too time-consuming, some would opt to serve tea to the bride’s family first when the groom head over to fetch her, before going over to the groom’s house to serve tea to his family. Others would choose to carry out only one tea ceremony out with both families together just before the wedding, during the cocktail hour, while some prefer to wait until the day after the wedding. Perhaps you and your partner could ask both of your parents and elders how strictly they wish to adhere to the traditions, and what they feel is an appropriate arrangement. Any sweet tea that symbolises sweetness in the union will be good for the Chinese wedding tea ceremony. It is said to bring happiness to the couple and to build good relations between the newlyweds and their new in-laws. Note that when using red dates, they should not be peeled or cut into slices. They are to be kept as a whole to represent fertility. The couples will have to kneel down while serving tea to their elders. (For some modern families they may choose to bow instead of kneeling). The groom should be on the left side while the bride should be on the right. The male elder should sit in front of the bride while the female elder should sit facing the groom. The couple will serve tea to their relatives in order of seniority. Usually, the order of service is parents, grandparents, grand-uncles and grand-aunties, uncles and aunties, elder brothers and sisters, and elder cousins. However, there are families that prefer to serve the grandparents tea before the parents. The groom should serve the tea first followed by the bride. For each serving, the groom should be the first to serve tea before the bride takes her turn. Do remember to serve the teacups with both hands and greet them by their formal title in the family! If there is only one tea ceremony is conducted with both families present, the groom’s family should be served before the bride’s family. After the tea ceremony, gifts will be presented to the bride and groom. These gifts are usually red envelopes containing money or jewellery handed down from female elders to the bride. 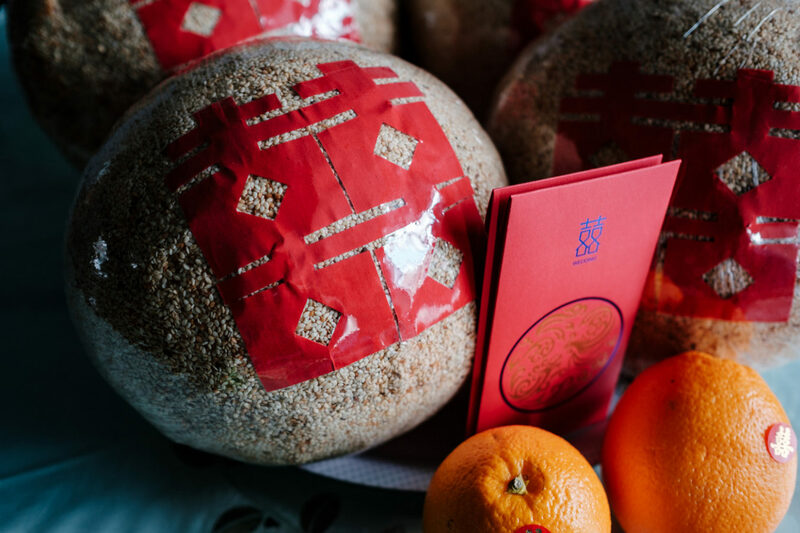 The bride and groom would then take seats and give out red envelopes containing small denominations to younger siblings, cousins and extended relatives.